Recorded October 5th 1985 – Live in Bern Switzerland. Recorded March 28 & 29 1996 – in New York City. Recorded Live in New York City, December 1990.
featuring the Clifford Jordan Big Band. 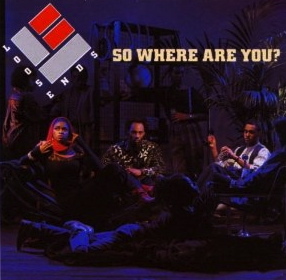 Recorded in New York City, 1993 / 1997 reIssue. Recorded on June 23 and July 1st 2002. Recorded in New York City on January 2 & 3, 1994. Recorded in NYC, NJ, CONN, between 1997 and 2000. Recorded “LIVE” at THE FORUM in Leverkusen, Germany, October 19th, 1991. Recorded in New York City, 1997. Recorded in New York City . Recorded LIVE in Cegled, Hungary in 2000. Recorded in Tokyo Japan 2004. Recorded in New York City. Recorded at SONY MUSIC STUDIOS on August 4 & 5, 2004. Recorded in Tokyo, Japan, 2000. 1997 Grammy Nomination. Voted Best Big Band in Down Beat Magazine’s 1997 Reader’s Poll.